Emerald – Servicing Emerald and Surrounds. 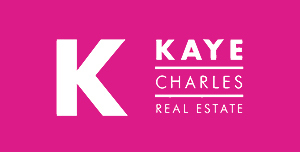 Kaye Charles Real Estate was founded by Kaye Persoons back in 2003. Over the last fourteen years our company has adhered to our ethos of Honesty and Integrity when dealing with both vendors and purchases alike which has allowed us continued growth throughout the South Eastern suburbs. Due to such growth, broadening our horizons to Emerald and Surrounds was a natural transition. Our inherent values of honesty, integrity, experience and unparalleled client service, have been strongly upheld over the years. Integrity – “Honesty is Our Policy”. This has been our mantra since our inception. We are committed to demonstrating honesty and transparency in all facets of client interaction. Our team are dedicated to building and maintaining relationships with each and every client. Team – Our team is our family. Being a family owned/operated business and having extremely selective criteria in recruiting our staff, ensures that we offer a quality service that is hard to match. Our team is a collective of individuals who respect and compliment one another. Each one of us is committed to the same goal, delivering the highest level of service possible. Responsibility – We view the responsibility of managing your most valuable asset as a privilege. We take pride in working most efficiently, with a commitment to urgency and accuracy. Our consistency in effective communication sets us apart. Support – We adopt the philosophy of giving good old fashioned service, while using the latest of today’s technology, enabling us to advise our clients of current market values and economic trends. We strategise with our clients, to create the most comprehensive, relevant campaign in pursuit to achieve the best, possible outcome. Our Specialty - KCRE specialises in selling all categories of property, from Town Homes to large acreage and every style in between. We are known for our strong market share in the prestige category and for our expertise in managing rural sales. Property Management - Our Property Management Team are authorities on all facets of managing leases and are renowned for their sound judgement and knowledge of leasing. Our team is made up of 4 full time ladies, all complimenting one another while operating as one collaborative team. When managing your investment, KCRE look after your interest first and foremost. All inspections are handled by your personal portfolio manager. Our goal is to achieve the highest, fare rent and we strive to recruit the right tenant whatever it takes.